The Ogun State Police Command has arrested one Ehioboh Lucky, 24, for impersonating Dr. Mike Adenuga. The suspect was arrested following a complaint by one Abiola Olalekan Ogunseye whom the suspect has defrauded up to the tune of N1,028,770. . 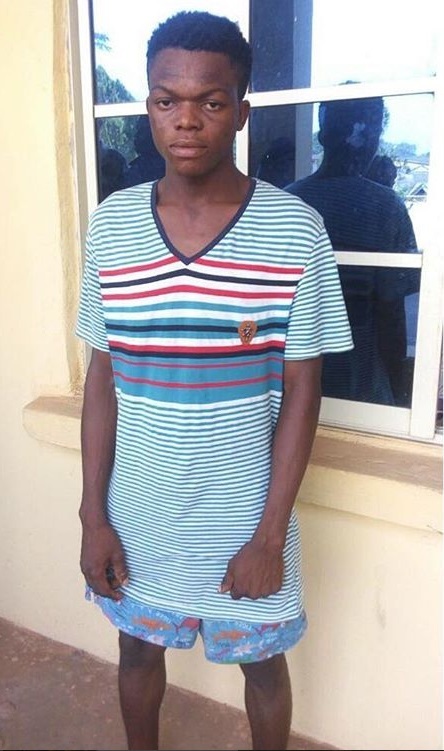 The suspect who hails from Edo State opened a Facebook account with the name and picture of the business mogul which he has been using to defraud unsuspecting members of the public. .
One of his victims, Abiola Olalekan Ogunseye, came into contact with him on Facebook where he promised to get employment for him at NNPC but the victim has pay the sum of #1.5 million to settle some members of management board of the cooperation who will influence his appointment. The sum of N1,028,770 has so far been paid to suspect before the victim realized that he is a fraudster and the suspect was apprehended on Monday 6th of November 2017. Recovered from him are one Iphone 6, one dell laptop, eight different sims card, five different ATM cards and one international passport. The suspect will be charge to court as soon as investigation is concluded.